Investigations into allegations against the Civil Air Patrol’s National Commander, Maj Gen Amy S. Courter, are said to be complete. Reports of the investigations and the findings have been turned over to the CAP’s National Legal Officer by its National Inspector General, at the direction of the CAP’s Board of Governors. Col Barry Herrin, the CAP’s National Legal Officer, reportedly said that two of the allegations against the National Commander were “sustained,” but he found there has been no “personal misconduct” on the part of the National Commander, and therefore he believes that no further action is necessary or required. Maj Gen Courter was the first female member of the CAP to attain the rank of Brigadier General and Major General. In October 2007, Maj Gen Courter was elected to serve as the Civil Air Patrol’s interim National Commander following the ouster of its former National Commander as a result of a News of the Force investigation into an Air Force test cheating scandal. She would serve in the term for one year while the CAP’s Board of Governors sought a replacement. 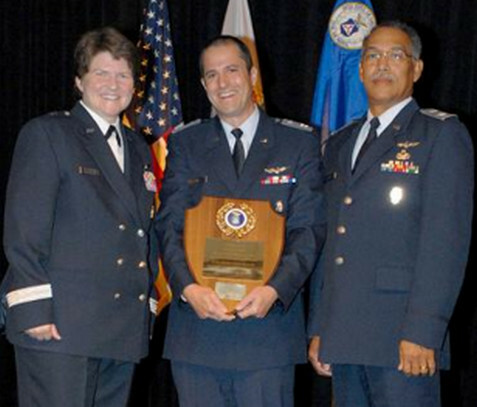 On Aug 7, 2008, during the 2008 Civil Air Patrol’s National Board and Annual Conference, Maj Gen Courter was elected to remain as the Civil Air Patrol’s National Commander. She was promoted to Major General two days later at the conclusion of the conference. She is the first female National Commander of the CAP and the first National Commander not aeronautically rated as either a pilot or aerial observer. Be the first to comment on "CAP National Commander Exonerated of Charges"